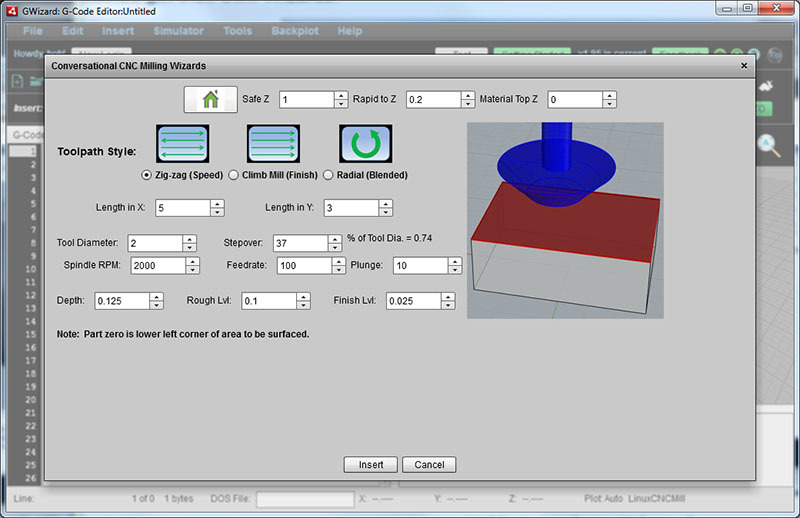 With G-Wizard Editor’s exclusive Conversational Programming, you can use simple point and shoot Wizards to generate quick g-code. No CAD drawings, no CAM, no complex g-code programming–perfect for quick projects. Every Copy of G-Wizard Editor. Click to download your free trial copy of GW Editor with Conversational Programming. CAM needs a drawing to start from. With CAM, there’s no working from the back of the envelope. CAM needs a lot of detail to support all the fancy things it can do. But if you’re not doing anything fancy, why provide all the detail? CAM is expensive and not everyone has a seat. How can knowledgeable machinists be productive without CAM? CAM has a steep learning curve. How do manual machinists leverage their considerable knowledge to be productive right away? CADCAM is powerful but slow. You can’t do complex jobs without it. But why be slow on simple jobs? Conversational Programming can help with all these problems. 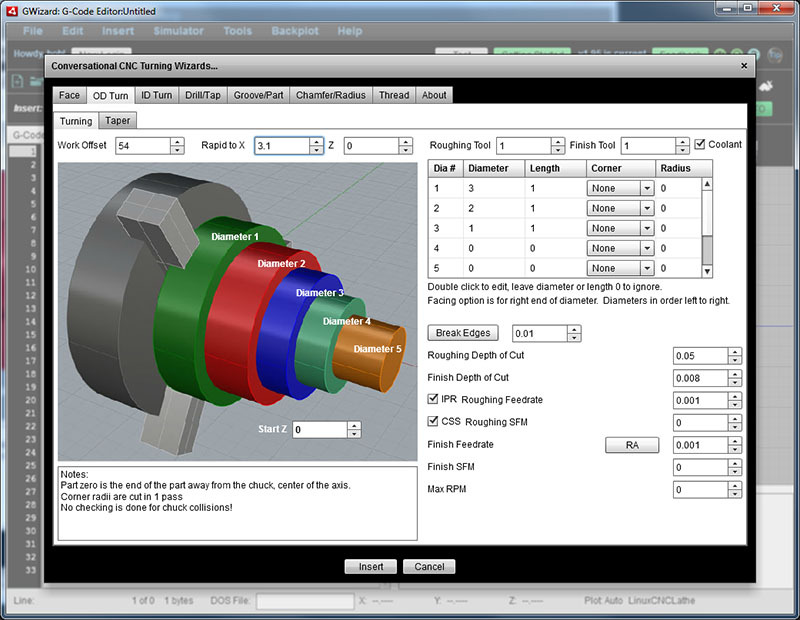 You couldn’t ask for easier cnc lathe programming software. It’s easy to fill in the blanks, but they give you easy access to power. Each Wizard has been designed with an eye towards what real world machining situations need. – Facing Wizard will radius into the cut, which reduces the wear on your tooling and improves surface finish. – Variety of patterns for holes are available including grids, vectors, circles, arcs, and even the ability to load a list of hole coordinates from another source. – Our custom Deep Hole Cycles can save time and go deeper than canned machine drilling cycles. – Lots of little ease-of-use touches like the ability to “Break all edges” with a single click while turning multiple OD diameters. Everyone should have a little Conversational CNC Programming power in their Toolbox. It doesn’t replace CAM, but it sure is handy for a lot of jobs. The best thing is it comes with a radically easier way to deal with all GCode because it is a free built-in module of our powerful G-Wizard Editor and GCode Simulator. No need to buy an expensive stand-alone Conversational package or machine option. 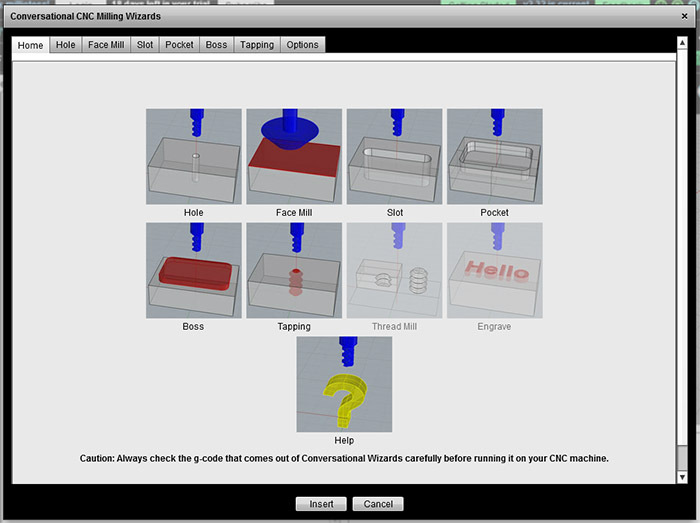 Just get a copy of G-Wizard Editor, and you’ll instantly have access to Conversational CNC.